Let me start out by saying that this article might, more than likely, anger a lot of people. However, I am committed to telling the truth. Sometimes the truth hurts, but as pro-lifers this information cannot simply be ignored, regardless of how much it affects our current lifestyle choices. This is the first of a three-part write-up piece on hormonal contraception. I hope you will read all three parts and share this factual information with people who may not know these truths. The pro-life mantra has always been “Life Begins at Conception.” Do we really believe that though? Do we really believe that life begins at that amazing moment of conception? Or do we actually believe that it begins at implantation? You may think that is a silly question. "Of COURSE pro-lifers believe that life begins at conception! Hello?! We have been saying that for years!" 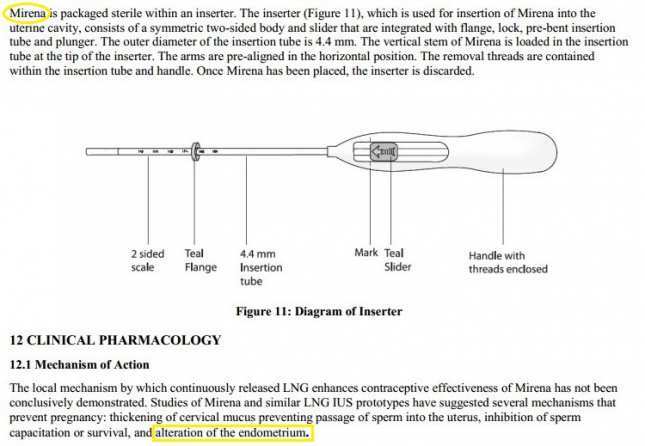 Well, if you truly believe that life begins at conception, then you MUST unequivocally oppose hormonal contraception. The reason for this is that hormonal contraception does not always prevent ovulation. In fact, many studies performed by the birth control manufacturers state that only about half of women using their methods actually cease ovulating. So, how do these methods work if you are still ovulating at least half the time? Simple. These methods have a backup plan, a Plan B of sorts. Hormonal methods also work to thin the lining of the endometrium, also called the uterine wall, so that a newly conceived human being (life begins at conception, right?) cannot implant on the uterine wall. Since the baby has nowhere to implant, they are spontaneously aborted. Will sexually active women abort their babies every cycle? Probably not, but there's definitely the possibility that you might. You really can't say for sure. That’s the scary and morally problematic part. To really drive this point home let’s use an example. Let’s say that a demolition company was going to use a wrecking ball to destroy an old school. When the supervisor of the company asks the principal if they made sure to clear the building, the principal says, “We most likely did. We aren’t 100% sure, but we are pretty confident.” Would that be acceptable to you? Would you be willing to push that button to release the wrecking ball? Would you be willing to risk that there may or may not be life in that building? Well, if you’re taking hormonal contraception and you’re sexually active, then you release that wrecking ball every month. Luckily, there is a way to space pregnancies without the potential loss of life. It’s called Natural Family Planning. There are MANY different methods and sometimes it takes trying a couple before you find the right one for you. I recommend visiting the website for I Use NFP to explore the various methods of NFP out there. In the event that you are one of those people who say, “I have to take birth control because of xyz health condition.” No, actually you don’t. I’m going to write another article on this, but I will tell you that by taking birth control you are allowing yourself to be fooled into masking the problem, not solving the root cause of it. NFP and NaPro technology can actually FIX the problem. You can find more information at FertilityCare Centers of America. Ladies, we have been force fed the idea that we must fix our unbroken fertility. Even that our fertility solely rests on our shoulders. The reality is, fertility should be shared between a husband and wife. You aren't able to get pregnant on your own, after all the egg can't be fertilized with the sperm. NFP is a beautiful way to help you share in that gift. It’s worth your time to check it out. Stay tuned for: Part II: If it Ain’t Broke, Don’t Fix It. **The original article was published by LifeSiteNews.com. Any reproduction or quotation from this article must give appropriate credit and sourcing to their website. Site designed and built by Alice Paul Group.